Russian artist living in San Francisco Bay Area. Most important for me is balancing on the edge, investigation of that uncertain boundary where patterns of paint on canvas turn into an image of an object, and back to patterns of paint, creating an effect of double vision. “Route 66 Blues”, Mountain View Center for Performing Arts, Mountain View, CA, 2018. "Metaphysics of Landscape", Samara Regional Museum of Art, Samara, Russia, 2011. “Game of Life”, Vavilon gallery, Samara, Russia, 2009. Works on Paper, Stanford University, Tresidder Memorial Union, CA, 2008. Curator: Jeannette Smith-Lows. "Multifaceted Vision", Mill Valley City Hall, Mill Valley, CA, 2008. Curator: Joan Steidinger. Floral Retrospective, presented by Terra Nova magazine, San Jose, CA, 2007. "Water and Rocks", Wiseman Gallery, Rogue Community College, Grants Pass, OR, 2007. "Water and Rocks", Maturango Museum, Ridgecrest, CA, 2007. "One Kid Show", UC Berkeley YWCA, Berkeley, CA. 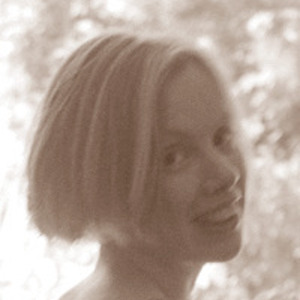 Curator: Sarah Knox-Miyazaki, 2006. Hewlett Packard Labs, Palo Alto, CA, 1999. Statewide 2D Competition & Exhibition, Triton Museum, Santa Clara, CA, 2017. Crocker-Kingsley Museum of Art exhibition, Blue Line Gallery, Roseville, CA, 2013. Fall National Exhibition, Marin Museum of Contemporary Art, Novato, CA, 2012. "California", Bakersfield Museum of Art, Bakersfield, CA, 2012. Vessels", Bakersfield Museum of Art, Bakersfield, CA, 2010. Statewide Painting Competition and Exhibition, Triton Museum of Art, Santa Clara, CA, 2008. 5th Annual Russian Women's Show, C.A.S.E. Museum of Art, Jersey City, NJ, 2002. The (Anti) Valentine Show, Works / San José, San Jose, CA, 2018. "Red and Black", Gallery Na Kashirke, Moscow, Russia. Curator: A. Martynova, 2016. "Collect!" Berkeley Art Center, Berkeley, CA, 2015. "East-West", Gallery Na Kashirke, Moscow, Russia. Curator: Natalie Georgadze, 2015. "Dark", Arc Gallery & Studios, San Francisco, CA. Juror: Nancy Toomey, 2014. "Impulse", Arc Gallery & Studios, San Francisco, CA, 2014. "Choice", Arc Gallery, San Francisco, CA. Juror: Catharine Clark, 2014. "RISK!" Berkeley Art Center, Berkeley, CA. Jurors: Apsara DiQuinzio, Kimberly Johansson, 2013. "Experiments in Graphics", Central Artist's Hall, Moscow, Russia. Curator: Natalie Georgadze, 2013. "Travel Time: East/West", Central Artist's Hall, Moscow, Russia. Curator: Natalie Georgadze, 2012. "Face Me", Sebastopol Center For The Arts, Sebastopol, CA, 2012. "Travel Time: The Discovery of America", Central Artist's Hall, Moscow, Russia, 2012. 2D 144 National Invitational Exhibition, Kauffman gallery, Shippensburg University, Shippensburg, PA, 2008. Theatre for the New City, NY, NY, Four-person show. Curator: Crystal Field, 2008. "Images of Spring", Mary Bell Galleries, Chicago, IL. Three-person show, 1997. 68th Grand National Exhibition, The American Artists Professional League, Salmagundi Club, New York, NY, 1996.